Today we are sharing 3 of our favorite half up bun or top knot hairstyles. Add 4 more cute half ups from last week, and you have an entire week of styles! These particular 3 styles are some of my daughter's favorites at the moment. We love that these braids are intricate looking, yet still fairly simple to create. 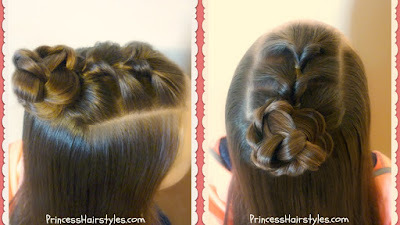 Half up bun styles in general are very popular and trending right now and there are so many variations that you could do! We actually have a huge running list of half ups that we love and wear regularly. We may have to make a part 3 of this series at some point. Of course, these styles can be finished with any type of bun you would like. 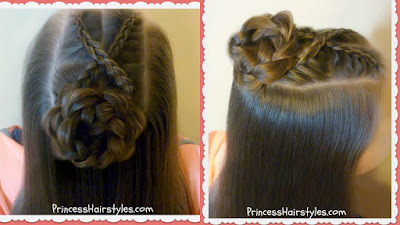 We choose to do a stretched out braided bun, similar to a rosette or flower braid for all 3 hairstyles. You could also make a messy bun, twisted bun, sock bun, etc. if you prefer. 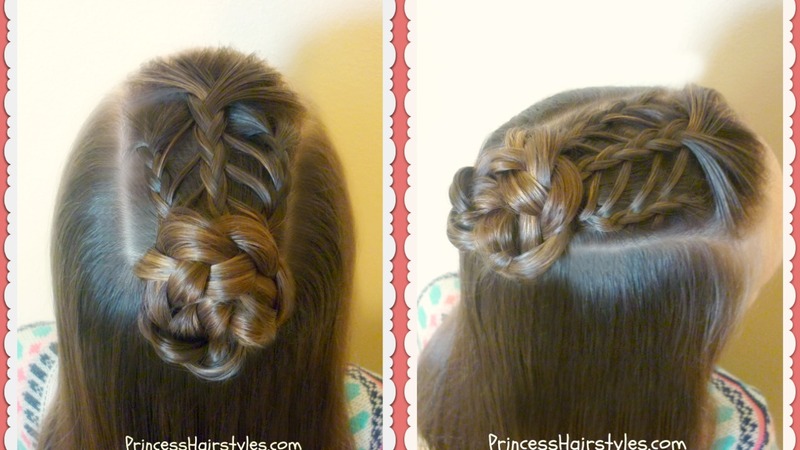 These hairstyles would be great for both casual and more formal occasions. 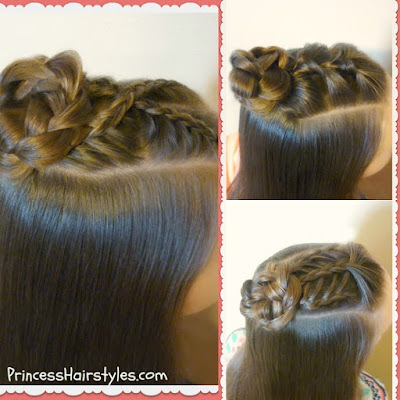 And since we are only using the top section of hair, these styles should work for fairly short hair as well as long. Yay!